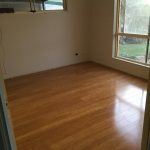 Bamboo Flooring and Installation Service – Fraser Coast, Gympie & Sunshine Coast, Queensland. Bamboo is the sustainable, ecologically friendly plant of the 21st century. It is manufactured into beautiful, stylish and elegant, natural timber flooring, ply sheeting, floor covering, bamboo furniture timber, cutting boards – and now even into a superb textile for towels, socks, clothing or bedding (softer and finer than cotton) – bamboo will certainly define 21st century living! Bamboo Refined – Bringing a whole new, wonderful lifestyle to Queensland and the Sunshine Coast. Please enjoy it with us. I contacted Chris to get my floor done,the response was incredible,the guys came the following week & installed the floor,they were super friendly & helpful and above all did an amazing job. I am very happy with my new floor,so easy to keep clean & looks stunning !! Hi Chris, thankyou for your advice when I bought your flooring as a DIY renovator. With a couple of simple tips from you it was a very easy install and we couldn’t be happier with the end result.